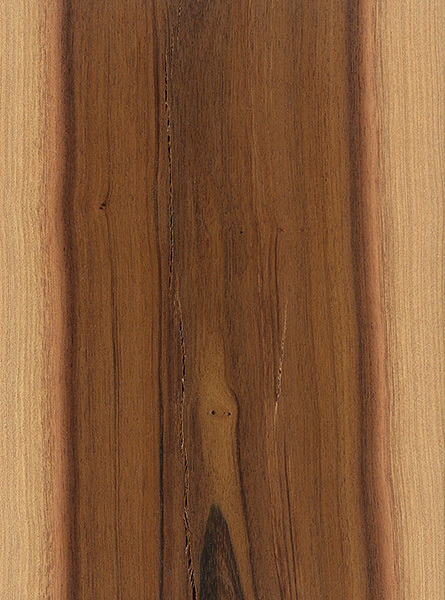 Color/Appearance: Black Ironwood’s heartwood can be a range of reds, oranges, violets, and browns. Pale yellowish white sapwood is clearly demarcated from heartwood. 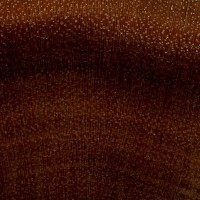 Grain/Texture: Black Ironwood has a straight and even grain with a very fine texture and high natural luster. 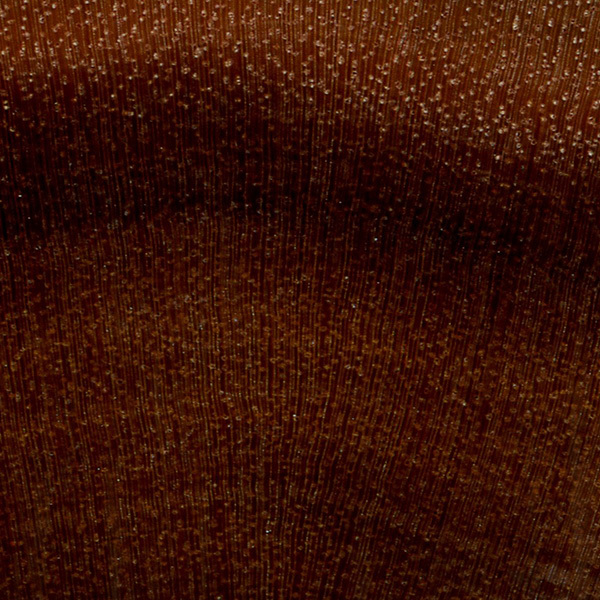 Endgrain: Diffuse-porous; small to medium pores in no specific arrangement, moderately numerous; solitary and radial multiples of 2-3; gum deposits in heartwood pores present; growth rings usually indistinct; narrow rays not visible without lens, close spacing; parenchyma vasicentric. Rot Resistance: Reported to be very resistant to decay, and also resistant to termites. Workability: High cutting resistance, and difficult to work due to density. Turns and finishes well. Allergies/Toxicity: Besides the standard health risks associated with any type of wood dust, no further health reactions have been associated with Black Ironwood. See the articles Wood Allergies and Toxicity and Wood Dust Safety for more information. 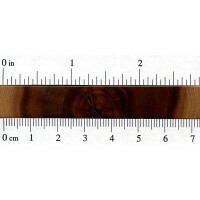 Pricing/Availability: Black Ironwood tends to be a very small tree, barely exceeding the size of a shrub. Because of it’s small size and high density, it’s not sold commercially. Small pieces may be available for hobbyist or specialty purposes within its natural range. Common Uses: Firewood, veneer, and small turned objects. Comments: Among the heaviest woods on earth, Black Ironwood is found in southern Florida, making it the heaviest wood in the United States, (along with the unrelated Desert Ironwood perhaps being a close second). A good and fine wood is used for high-end furniture, however we usually import them from South Africa and Laos. Is the density correct? You have it as denser than lignum vitae, which says it is the heaviest wood on earth. 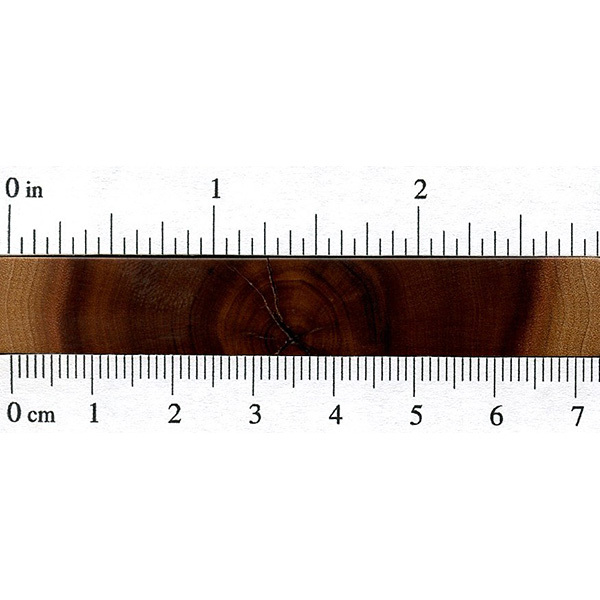 can I make a ruler out of it? I wondered if it could be used for the smoking pipes making as briar wood.